Leading Manufacturer of conventry staple impactor, conventary staple inserter, coventry staple extractor, intramedullary nail extractor, 3.5/4.0mm proximal tibia locking medial plate and staple driver from Delhi. We are offering Conventry Staple Impactor. It is made as per the international standards.Our products are durable as we use only High Grade Raw Material in production procedure. We offer our products at an affordable price range. We are offering Conventary Staple Inserter. It is made as per the international standards.Our products are durable as we use only High Grade Raw Material in production procedure. We offer our products at an affordable price range. 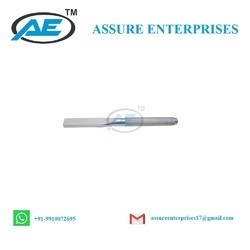 We are offering Conventry Staple Extractor. It is made as per the international standards.Our products are durable as we use only High Grade Raw Material in production procedure. We offer our products at an affordable price range. We are offering 3.5/4.0mm Proximal Tibia Locking Medial Plate in good international quality.It is available in both steel and titanium. We are offering U Staple Driver. It is made as per the international standards.Our products are durable as we use only High Grade Raw Material in production procedure. We offer our products at an affordable price range. We are offering U Staple Extractor. It is made as per the international standards.Our products are durable as we use only High Grade Raw Material in production procedure. We offer our products at an affordable price range. 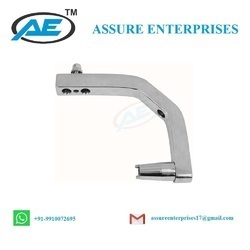 We are offering U Staple Insertor/Impactor. It is made as per the international standards.Our products are durable as we use only High Grade Raw Material in production procedure. We offer our products at an affordable price range. We are offering Proximal Jig for XL/Multi Fix Femoral Nails . Our products satisfy all of the International Standard as per ISO-13485. Our products are durable as we use only High Grade Raw Material in production procedure. We offer our products at an affordable price range.